"His overdriven Stratocaster sound is one that guitar aficionados never tire of hearing live or on record, especially when it's well recorded. ... Yet again, Chad Kassem sets high the box set reissue bar delivering a "must have" package for SRV fans, every bit the equal of the one Doors fans have come to cherish. ...every one of these records betters the originals and by a considerable margin. It is not even close...You've never heard these albums sound like this. That is a 100 % guaranty. ...this is an impeccably produced box set physically and especially sonically. It's the best these albums have ever and probably will ever sound." — Music = 9/11; Sound = 10/11 — Michael Fremer, AnalogPlanet.com. 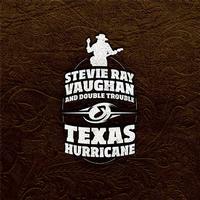 Read Fremer's full review here: http://www.analogplanet.com/content/stevie-ray-vaughan-and-double-trouble-texas-hurricane-box-set Winner of a Gruvy Award, chosen by AnalogPlanet's editor, Michael Fremer, for vinyl records that are musically and sonically outstanding and are also well mastered and pressed. Stereophile Editor's Pick! Recording Of The Month! We've gone completely all-out for this project. We've used the original 30 inches-per-second, half-inch analog master tapes for all of these studio albums as well as for the bonus tracks included on the SACDs. Ryan Smith at Sterling Sound cut the lacquers for the LPs using the ultimate VMS 80 cutting lathe. Gary Salstrom handled the plating and the vinyl was pressed of course at Quality Record Pressings. Andy Aledort, senior editor for Guitar World, wrote the liners with contributions from Stevie Ray Vaughan biographer Craig Hopkins. This set includes a deluxe booklet. We're using tip-on LP jackets - the finest you can buy. And all of the records are housed in a deluxe box. We've also used the correct original master for Soul To Soul. Every version of this record since 1999 has been from an incorrect source with the wrong take of the track "Life Without You." We've got it just as the original. There's not a link in this chain that wasn't absolute first-rate. The absolute best that money can buy. What if. What if everything that Acoustic Sounds customers have come to know and worship about the sonic superiority of Quality Record Pressings LPs could be brought to bear on one of the rockingest powerhouses of blues guitar who ever lived? Then your wish is granted. We're about to rock your world with the greatest Stevie Ray Vaughan tribute ever reissued: Six of Vaughan's most classic album titles combined in the ultimate box sets — both LP and Hybrid SACD — for ultimate blues and guitar fanatics! With his astonishingly accomplished guitar playing, Stevie Ray Vaughan ignited the blues revival of the '80s. Vaughan drew equally from bluesmen like Albert King, Otis Rush and Hubert Sumlin and rock & roll players like Jimi Hendrix and Lonnie Mack, as well as the stray jazz guitarist like Kenny Burrell, developing a uniquely eclectic and fiery style that sounded like no other guitarist, regardless of genre. Vaughan bridged the gap between blues and rock like no other artist had since the late '60s. For about seven years, Stevie Ray Vaughan was the leading light in American blues, consistently selling out concerts while his albums regularly went gold. His tragic death in 1990 only emphasized his influence in blues and American rock & roll. This is classic Stevie Ray Vaughan, meticulously remastered from the analog tapes by New York's Sterling Sound. In each set you'll receive Texas Flood, Couldn't Stand the Weather, Soul to Soul, In Step, plus the posthumous classics Family Style and The Sky Is Crying. Those of you familiar with our previous LP box sets — Miles Davis and Thelonious Monk, Creedence Clearwater Revival — and soon to come, The Doors — know how deluxe these sets are. From the detailed liner notes to the rarest photographs, these sets will truly be gems. For those with an audiophile passion and a pocketbook on a budget, the 331/3 LP set satisfies like no other. The truly luxurious — and ultimate — listening experience can be had on 45 RPM LP. With so few songs on each side and at 45 RPM, your cartridge will capture every last winsome note. Each LP set will come housed in deluxe tip-on gatefold jackets that include rarely published, intimate photos — a look inside the career of a legend whose death at age 35 shocked the music world. A few statistics showcase Vaughan's success and musical influence: His debut album Texas Flood, reached No. 38 on the charts, crossing over to rock radio stations. The album's succesor, Couldn't Stand the Weather, released in May 1984, reached No. 31 on the charts; by the end of 1985 it went gold. Vaughan and his band, Double Trouble, recorded their third album, Soul to Soul, released in August 1985, and it reached No. 34 on the charts. These box sets will exceed your expectations, whether you're an LP or SACD enthusiast. We guarantee it. This set has been a mental "wish list" item for me since the day it was released because I couldn't decide which format would be best for me and, quite honestly, I couldn't afford any of them anyway. Sometimes all you can do is wait and hope. I was finally able to pull the trigger recently and all I can say is that it was well worth the wait. This is phenomenal and I can do little other than to echo and confirm the other glorious reviews that people have written. I purchased the 33 1/3 RPM vinyl version and I cannot compare it to the SACD OR 45 RPM versions but I wish I could after hearing this. To be clear, I am completely satisfied with the choice that I have made. But when something is this well done you can't help but be curious about the entire production. I have a very modest setup (by audiophile standards) and was worried that I might not benefit as much with this format vs one of the others. But I needn't have worried. This is how vinyl is done!!! Thank you! All records were flat & quiet. The re-mastering is so good it's almost like listening to the albums for the first time. The only minor complaint is the "In Step" album. I think they had to use the original digital master so the sonics aren't quite as good as the other albums. Highly Recommended! When I first received this set, I had no intention to listen to the whole box set in one sitting...I just couldn't quit! Superb recordings of the great SRV. I felt like this was money well spent. I got the 33rpm version and it sounds suburb. Ever LP is perfect but have to say the highlight is "Couldn’t Stand The Weather". I have an original of this LP and QRP version absolutely kills it. Crank it up and the life just jumps out of this recording. Pure Magic! Texas Hurricane will blow you away. AP did it again. All the records are flat and pressed to perfection and the mastering brings SRV and Double Trouble into your room. I'm a big fan of the 45 rpm albums and own a lot of them. AP's Doors catalog on 45 is the release of the decade for me but I couldn't wait any longer for this box set and these albums and I'm more than happy with the records. I can't wait to see what Chad and company have in store for us music lovers in the future. As usual Acoustic Sounds packing and quick turn around on my order was excellent. The box, book, gate-folds, and records all appear first rate. There are some photographs in the book that I haven't seem before. My box is numbered 0195. On the Texas Flood album, which I'm spinning right now, the tones sound good to me. I can hear the cymbals ring, the bass is very present, and everything in the middle sounds clear. An enjoyable listen. I'm listening on vintage gear, a Sansui 4000, Shure w/JICO SAS, and KLH 33's. Stevie's voice is well centered, clear and crisp it's like he's in the room. Chris Layton's drums are sharp, powerful and punchy. Tommy Shannon's bass playing on Texas Flood is outstanding. I think some of the best selections for me were the softer songs: Mary Had a Little Lamb, Lenny, Riviera Paradise and Chitlins Con Carne. This is a wonderful, first class set and the vinyl pressings are fantastic, flat and quiet! Thank you Chad! Highly recommended. Oracle Delphi MKII, SME 309, Shure V15Vx-MR, Audio Research SP8, Hafler DH-120 Modified, Mission Freedom 770. I have watching and waiting patiently for the release of this set for well over a year now. So happy that the April 1st release date was no joke. I ordered on that day and received the set on the 4th. Just got done listening to "Couldn't Stand the Weather" and "In Step". The highlights for me on those two albums had to be a couple of the slower songs. Tin Pan Alley and Riviera Paradise. The sparseness on those two numbers really show how well this set has been produced. Reverb that simply fades away into the blackness of the dead quiet vinyl. Wow, I can hardly wait to listen to the rest of the albums. I'd also like to mention the box itself. Very high quality stuff here. I love the hidden magnetic closure on the box's flap. Nice touch! Everything about this set is top notch, from the box itself to the heavy weight cardboard gatefold jackets, to the best sounding vinyl on the planet. Way to go APO, QRP, and Acoustic Sounds. You have hit a Grand Slam with this.